The shoulder is a hard-working joint of the lamb, with wonderful inter-muscular fat and cartilage. Small whole lamb shoulders with an even covering of fat are best. As the joint slowly bakes, the fat bastes the meat, leaving a fabulous crust of caramelised goodness. 1.) In a bowl, mix together the garlic, lemon zest, oregano, oil and salt. 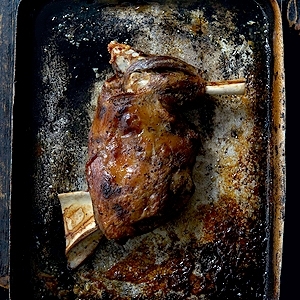 Take a heavy, deep roasting tin large enough to comfortably fit the lamb shoulder. 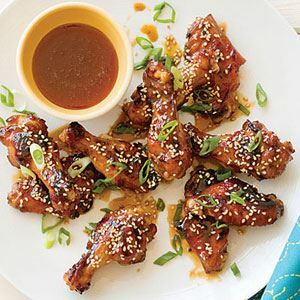 Rub the marinade all over the joint, cover with cling film and leave to marinate for a few hours or, better still, overnight in the fridge. Preheat the oven to 150°C. Remove the cling film from the lamb and add 250ml of water to the roasting tin. Cover the tin tightly with foil, then place in the oven and roast for 2 hours. Turn the oven temperature down to 110°C and cook for a further 6 hours, checking every so often and adding a little more water if the tin is dry. Remove the foil for the last hour of roasting to crisp up the skin. 2.) While the lamb is roasting, make the marinated onion. Place the onion in a small bowl and break up the slices. Add the salt and leave the onion to weep for 1 hour before draining in a colander. Add the lemon juice, olive oil, sumac and parsley and mix well. The meat is ready when it is fork-tender – basically falling off the bone. Place the joint on a serving platter and shred the meat from the bone at the table. The pan juices could be served in a jug, but I would suggest skimming off the fat first. Serve the lamb with a few lemon wedges and salt. Place the marinated onion in a small dish and serve alongside. 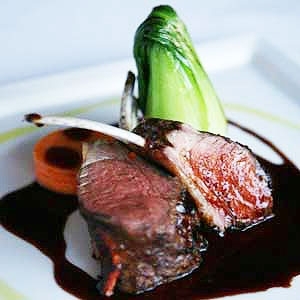 Recipe provided by Cumulus Inc.
A beautifully plated rack of lamb. 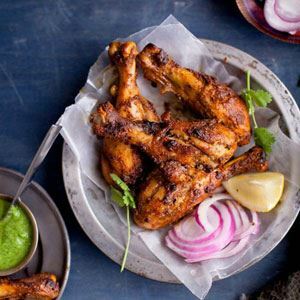 Once marinated, these are great to throw on the barbecue!